U.S. researchers working at the Energy Department’s Oak Ridge National Laboratory in Tennessee have “accidentally” found a method to turn the greenhouse gas carbon dioxide into useful clean burning motor fuel ethanol. The discovery is huge, and the electrochemical process can now be applied to turn various forms of carbon emissions from coal and natural gas power plants into ethanol. 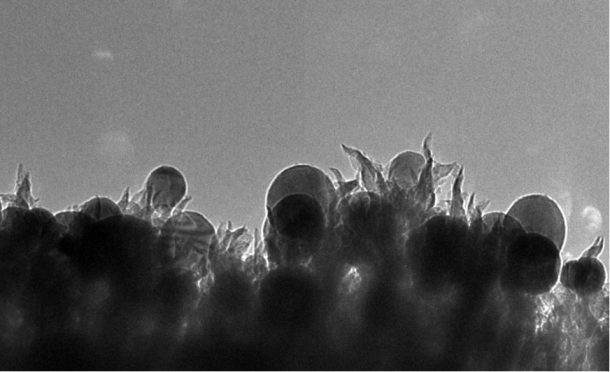 The amazing group of scientists published their findings last week in the journal ChemistrySelect, which involves turning carbon dioxide into ethanol using meagre and tiny spikes of carbon and copper. The story of this accomplishment is quite amazing as well, as the study’s lead author and a scientist Adam Rondinone revealed that they discovered this process nearly by accident. Rondinone and his team employed a catalyst made from carbon, copper and nitrogen. Upon applying voltage, a complicated chemical reaction ensued which amazingly reversed the combustion process. And when this process was applied to a solution of carbon dioxide dissolved into water, the scientists were able to produce ethanol with a yield of 63 percent. And according to the scientists, this can also produce a variety of electrochemical reactions resulting in a mix of different fuels in small amounts. The researchers believe that they can further boost the catalyst’s properties and behaviour if they are able to refine their approach and boost the overall production rate of ethanol. They also point out that this method can be applied to almost every fuel waste recovery system, irrespective of whether it is only for fossil fuel power plants or for renewable energy systems. For renewable energies, the team plans to use excessive electricity using wind and solar plants which can be stored as ethanol for burning it later on when the wind wanes or the sun sets. Ethanol is already being using in vehicle fleets, and even in some aircraft which are capable of using motor fuel containing a mix of ethanol. Before this technique, the method of producing ethanol fuel from corn actually aggravated global warming so this breakthrough is exciting in every way possible. What are your thoughts on this ground breaking discovery? Let us know in the comments’ section below!